What researching and writing this chapter of my ancestral past has meant to me, and to my family. Have you chosen your next book club read? 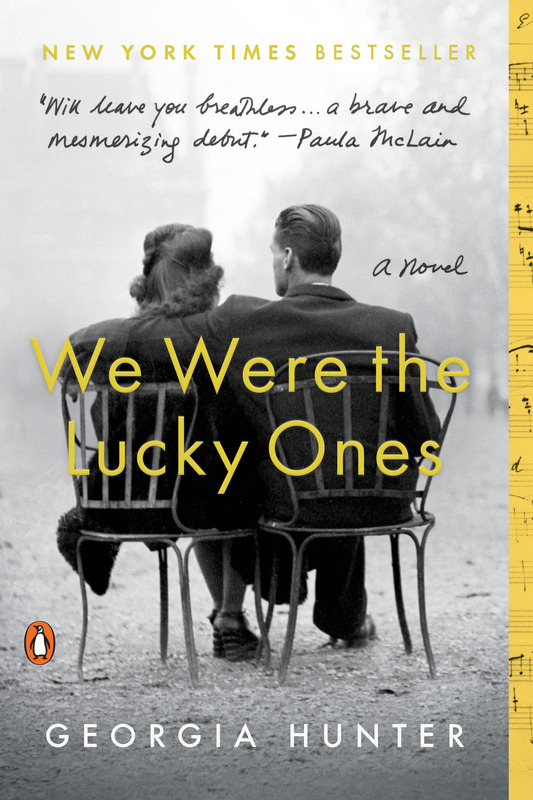 We Were the Lucky Ones has turned out to be a book club favorite. 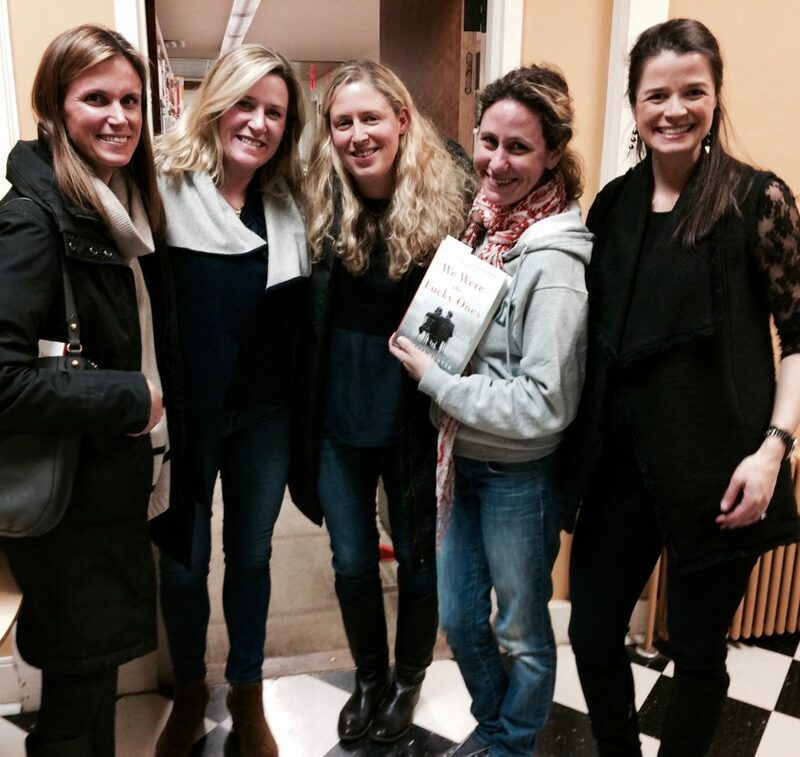 In this 3-minute video interview, Georgia reflects on her own book club experiences. If you or your book group would like some questions and topics for discussion, help yourself to the Reader’s Guide. It’s been six weeks since the launch of We Were the Lucky Ones—a milestone made all the more monumental by the photos that flooded my inbox in the days that followed—photos of friends with the book in their laps at the beach, on an airplane, at home cozied up on the couch; photos of the U.K. edition spotted at Waterstones in London and at the Edinburgh Airport, and of the U.S. edition perched on bookstore, train station, and airport kiosk shelves across the country. 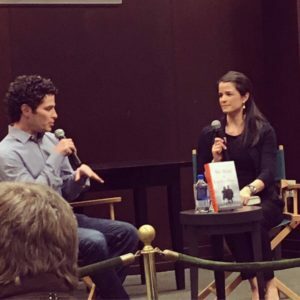 Today, these images evoke the same surreal, spine-tingling sensation as the memory of sitting on a Barnes & Noble stage with my pal Tommy Kail, talking shop for the first time as a two-day-old published author to a standing-room only group of some 75 of my closest friends and family, among them 2nd, 3rd, and 4th generation Kurc survivors from as far away as Brazil, France, California, Miami, and Chicago. 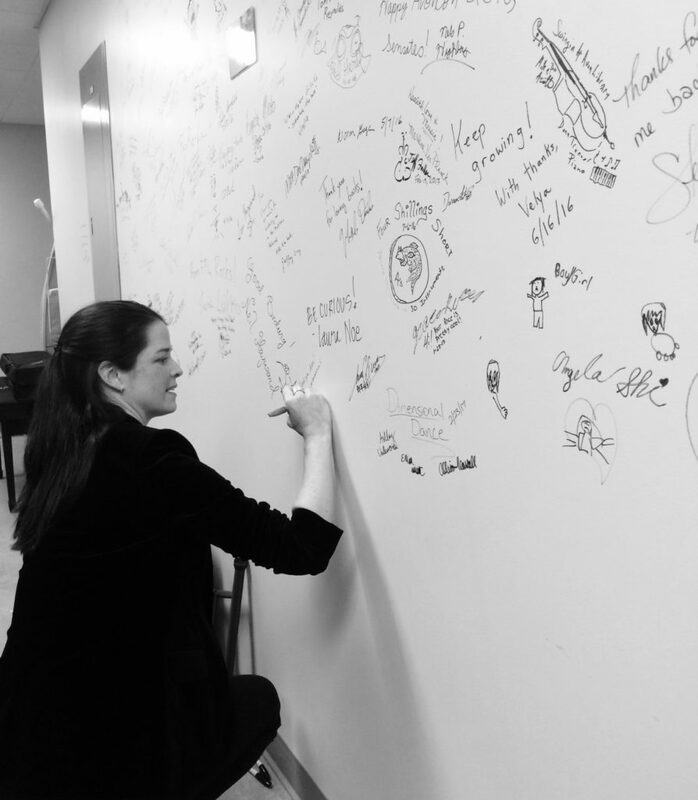 I’ll never forget that Manhattan launch event, or the others that followed at libraries, bookstores, and auditoriums throughout Connecticut and as far north as Boston, MA, including a stop in Providence, RI, where I snuck in a visit with the 8th-graders at my alma mater, The Gordon School. 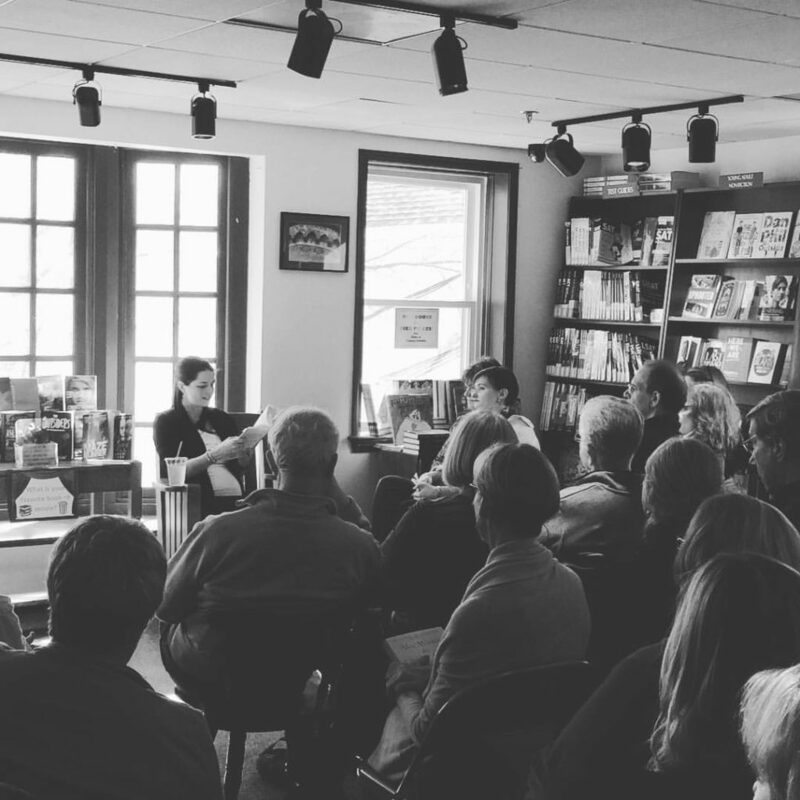 For those who live in the NY/CT area, I hope you can join me for a final reading, hosted by the Chappaqua Public Library, on Tuesday, April 4th at 7pm. And if you’re near a radio or a computer tomorrow (Thursday, the 30th), tune in to WGCH between 11am and 12pm for my interview with Kim Berns, broadcast live from Greenwich, CT! 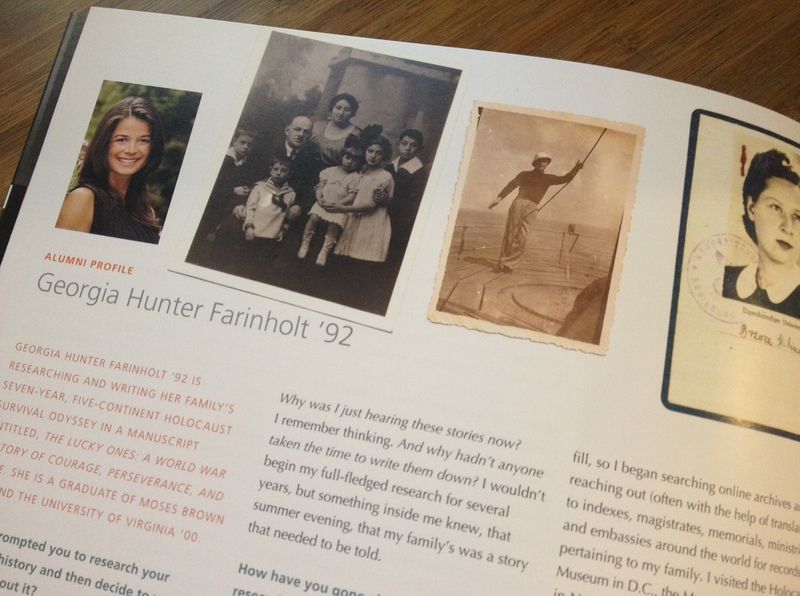 This project began nine years ago, with the simple goal of researching my family history—a survival story that, once unearthed, felt too remarkable to be left untold. It was a story I knew I needed to record, but I had no idea what kind of response it would ignite. I wasn’t prepared for the praise and the media the book would attract, or for the reviews that would bring tears to my eyes on Amazon and goodreads, or for the heartfelt notes I continue to receive, more often than not from total strangers, who have reached out personally by email or facebook to tell me what reading We Were the Lucky Ones has meant to them. To the family, friends, bloggers, reviewers, readers, and fellow survivors (and children and grandchildren of) who have taken the time to share your connection to my story, I am beyond grateful for the feedback—thank you. 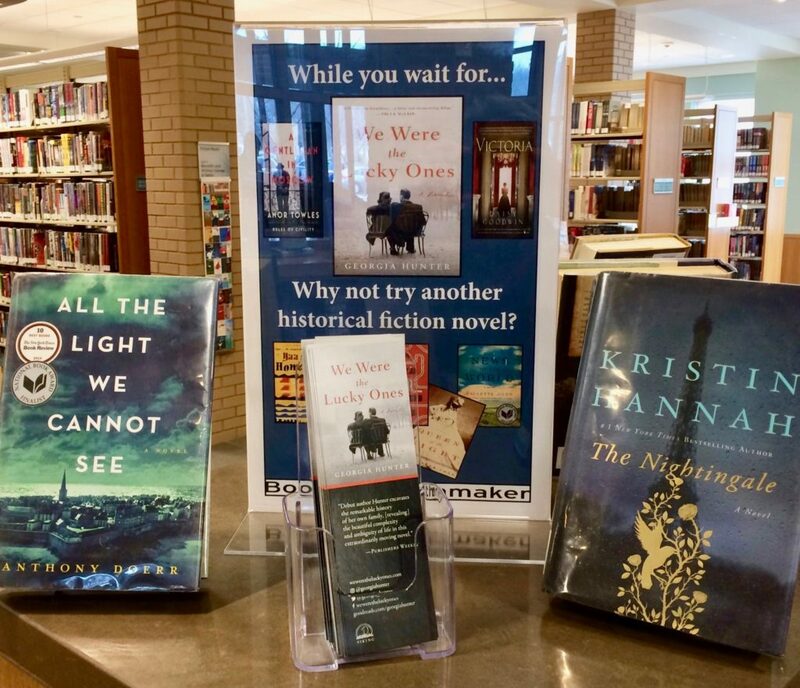 After a talk at the Darien Public Library, there was a waitlist for WWTLO—what an honor to see the book being promoted next to these two award-winning titles! 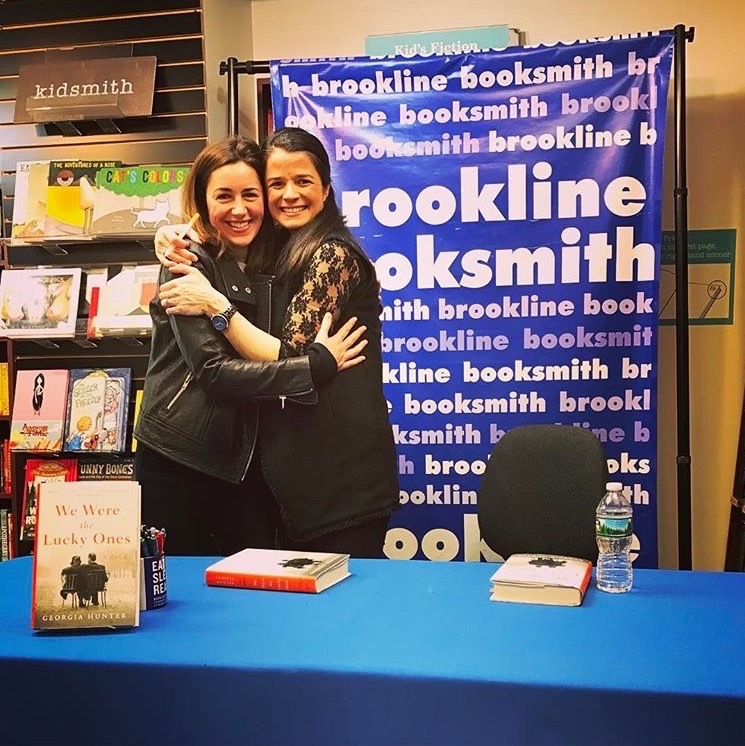 My CT girlfriends threw me a book launch party at a favorite local bar—it felt like the whole town came out to celebrate! 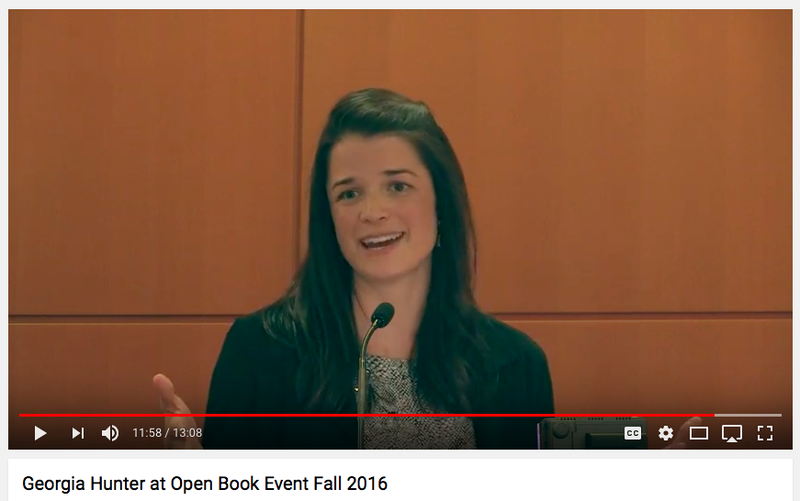 Two weeks ago, I had the honor of being invited by Penguin Random House (PRH) to join a panel of six authors with forthcoming titles at an Open Book event in New York. 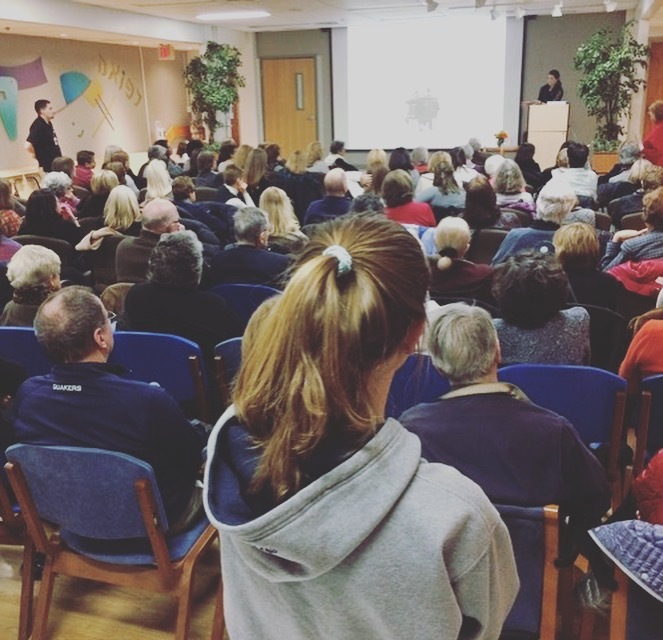 Our assignment, we were told prior to the event, was to speak for ten minutes each about our books to a group of 100 librarians from the Tri-State area. Despite the fact that a podium + an audience made my heart palpitate, I jumped at the offer, grateful for the chance to share the story behind We Were the Lucky Ones with an auditorium full of book lovers, and also for the chance to give thanks to the librarians around the world I’d relied upon in my research. The five other author talks were incredibly captivating, and it was a privilege to meet these writers and to learn first-hand about the storylines and thought processes that went into their novels. I’ve included links to my fellow presenters’ websites at the end of this post, and if you’d like to check out my talk on YouTube, you can do so here. 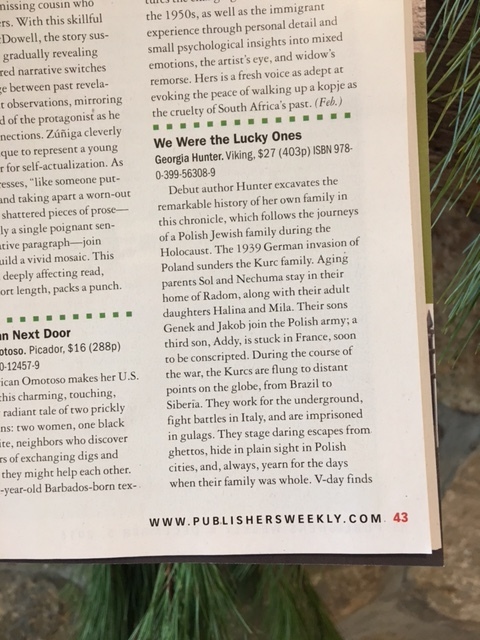 Soon after the Open Book event, I was thrilled to learn that We Were the Lucky Ones had been reviewed by the trade news magazine Publishers Weekly. A few days later, I received another review of sorts, this time from a cousin in Israel…and while I’m thankful beyond belief for my first glowing industry review, reading Alain’s feedback felt even more meaningful. Weeks before, I’d sent galleys to a few of the Kurc relatives I’d visited and interviewed in my research, without whom my book could never have been written. One of those relatives was Anna, daughter of my grandfather’s sister Halina. Anna read the book in two days and told me over Skype how moved she was by it, and that she’d passed the galley on to her oldest son, Alain. A few days later, an email arrived that made my heart swell. Thank you, Alain, for these words. I can’t describe the emotion–the relief and the pride and the overwhelming gratitude–that courses through me every time a relative tells me what the book has meant to her or him. It was for the family, after all, and for the generations to come, that I wrote the book in the first place. With Alain’s sentiments warming me to the core, I wish you all a holiday full of laughter and love and most of all, the gift of family. 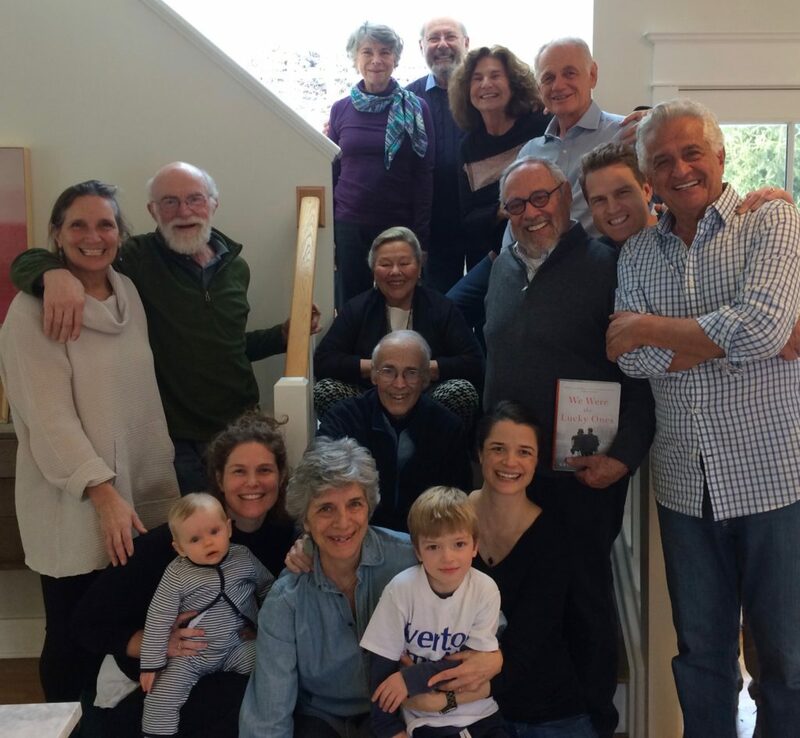 “Debut author Hunter excavates the remarkable history of her own family in this chronicle, which follows the journeys of a Polish Jewish family during the Holocaust. 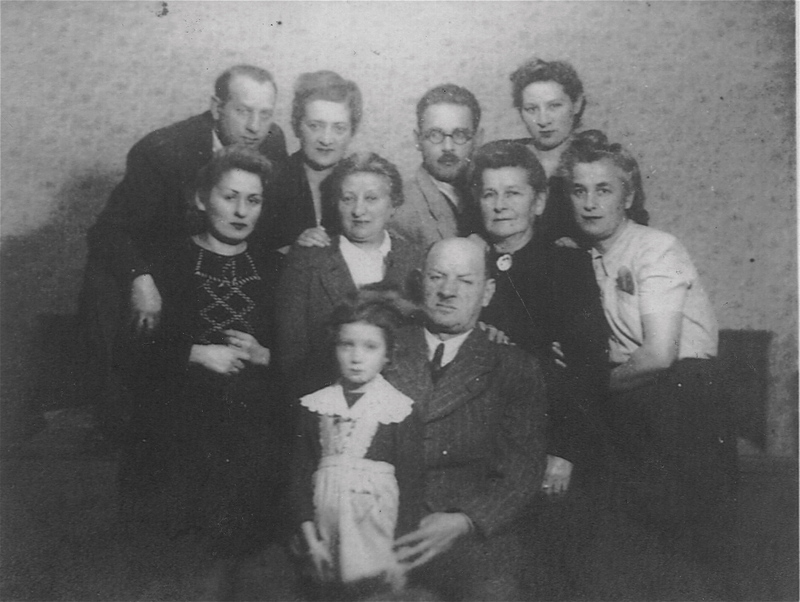 The 1939 German invasion of Poland sunders the Kurc family. Aging parents Sol and Nechuma stay in their home of Radom, along with their adult daughters Halina and Mila. Their sons Genek and Jakob join the Polish army; a third son, Addy, is stuck in France, soon to be conscripted. During the course of the war, the Kurcs are flung to distant points of the globe, from Brazil to Siberia. They work for the Underground, fight battles in Italy, and are imprisoned in gulags. They stage daring escapes from ghettos, hide in plain sight in Polish cities, and, always, yearn for the days when their family was whole. I left you last month with a post about my editor—and I promise to update you on Jane’s encouraging feedback at a later date. This post, however, I’d like to dedicate to my grandmother, Caroline, who passed away on Tuesday, two days short of her 100th birthday. My grandmother was born on December 18th, 1914, in Clinton, South Carolina. 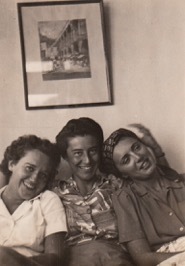 I marvel often at how she, a young Presbyterian from the South, ended up in Rio de Janeiro during the Second World War—and even more so at the fact that while in Brazil, she married my grandfather, her antipode—a gregarious, unflinching Polish Jew. I’ve filled many pages of The Lucky Ones with the story of how my grandparents met, of the meals and conversations I imagine they shared in those early years. My grandmother was courteous. She was poised. She carried herself with confidence and ease, but (unlike my grandfather) had no interest in being the center of attention. She never complained. 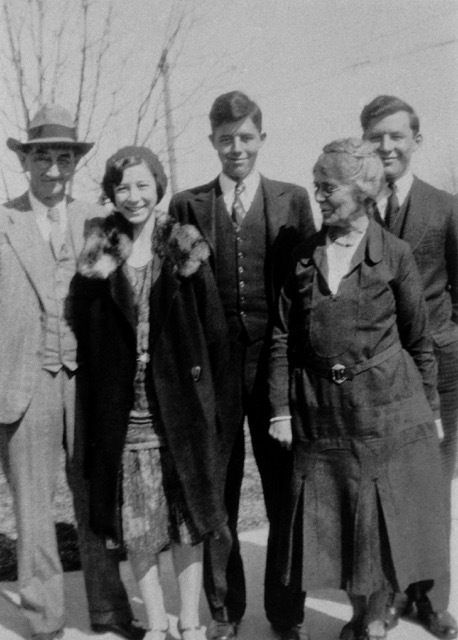 She welcomed young relatives from all over the world into her home, often for months at a time, with genuine warmth. Her niece Kathleen described Caroline as perhaps the kindest person she has ever known. When I think of my childhood, I think of my grandmother. I think of us watering her purple pansies, creating art projects from the pages of expired calendars, playing endless games of Milles Bornes. 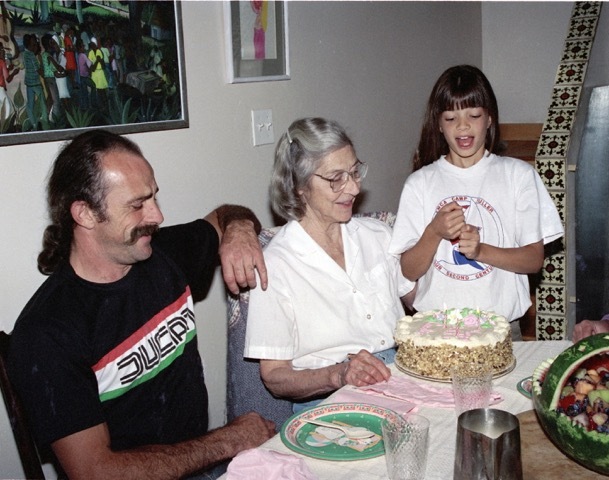 I think of all of the birthdays we shared (I was born on her 64th), of the patience and encouragement with which she taught me to swim in the neighbor’s pool, of how she would painstakingly peel the tape from her Christmas presents in an effort not to rip the paper, which she would reuse the following year. Thank you, Granny, for the suggestion. And for the tenderness, selflessness, honesty, and grace you so effortlessly embodied. I think of you often as I stumble through life, doing my best to emulate the way in which you carried yourself, the way you interacted with me, with others. You continue to inspire and shape me—as a granddaughter, a daughter, a friend, a wife, a mother. I miss you more than words can describe. It was hard, celebrating my birthday this year without you. But I’m comforted in knowing that you are very much alive in the pages of my book, as well as in the hearts of your children and grandchildren, and in all those you touched. One of many joint birthday celebrations in Plainville. 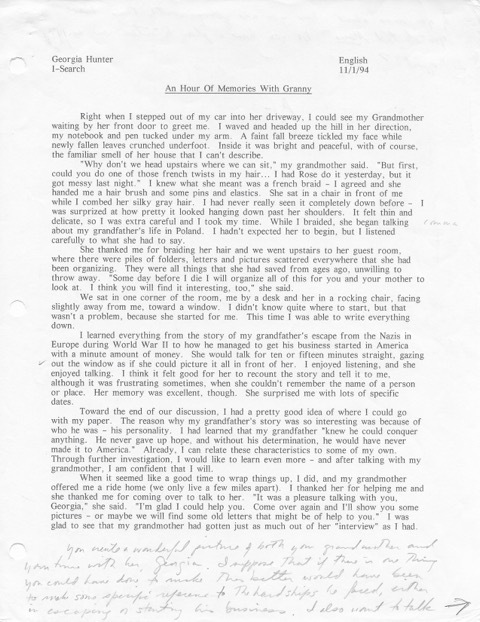 A paper I wrote for my “I-Search” project describing my interview (mentioned above) with my grandmother. 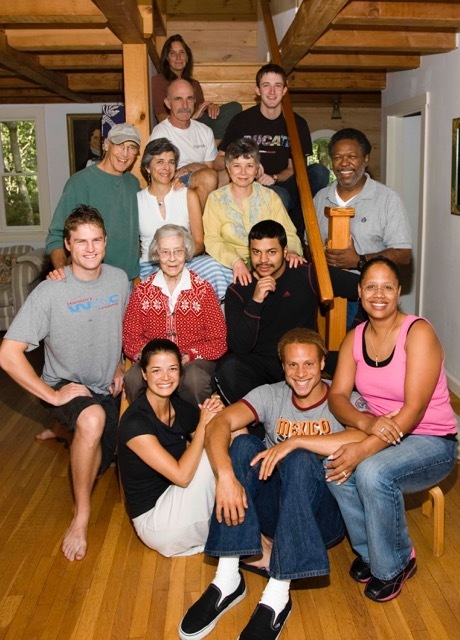 My grandmother surrounded by family on Martha’s Vineyard in 2006, they day before Robert and I were married. A recent summer visit. 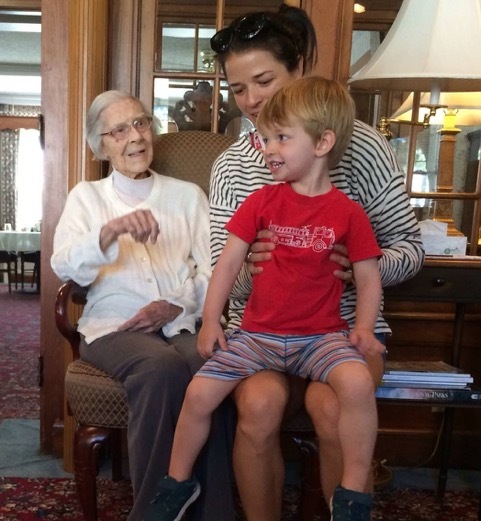 My grandmother loved watching her great-grandson buzz around the hallways of the Doolittle home. I’ve been out of touch, and I apologize—this has been a difficult post to craft. Writing it sends me back to the day at the end of October when, half way through our pregnancy, Robert and I lost our baby girl. We spent the first half of November cocooned in our home. We held each other. We talked. We cried. My parents drove down from Rhode Island to be with us; they helped, in their quiet, loving way, to get us through those first few weeks. And on our lowest days, it was our near-two-year-old son, Wyatt, whose smile made us realize, despite feeling like the unluckiest people in the world, just how fortunate we were. When we finally worked up the courage to share the news of our loss, the response was incredible. There are no words, many wrote…just know that we love you. You are in our hearts, our thoughts, our prayers. Several people surprised us by telling us they’d been through something similar. You’re not alone, they said, the words somehow comforting—hang in there, things will eventually get better. It was a promise we clung to, praying there was truth to it. It’s been nearly two months. As everyone has assured us it would, time has helped. Things are getting better. Slowly. Little by little I can feel a semblance of normalcy inching back into my life. There are still days when the grief hits hard, dousing me in a downpour of sorrow, often when I least expect it. But I’ve learned to embrace the sadness. To cry when I need to. And to laugh when it feels right. I found so much comfort and truth in this quote that my mother sent me in the weeks following our loss. This holiday, while my heart still aches, I am extremely grateful. For Robert. For Wyatt. For my parents. For our friends. And I am grateful for the short time I got to spend with our daughter, Anabelle. I never had the chance to know her, yet she taught me so much: I feel closer now to the people I love the most in this world; I can admit when I’m feeling down, and I’m okay with it; I appreciate that nothing in life—especially the miracle of a healthy child—should ever be taken for granted; I understand the importance of offering up compassion when others are in need. I reread my concept statement for The Lucky Ones the other day. In it, I write that my family’s story is defined by an extraordinary will to survive, by the fear of never seeing a loved one again, by the ability to laugh, to love and to find beauty in small moments—even in the face of destruction. Until now, I never fully grasped the meaning behind the words. I look forward to getting back to the book in the New Year, and I believe I’ll do so with newfound understanding, and perspective. 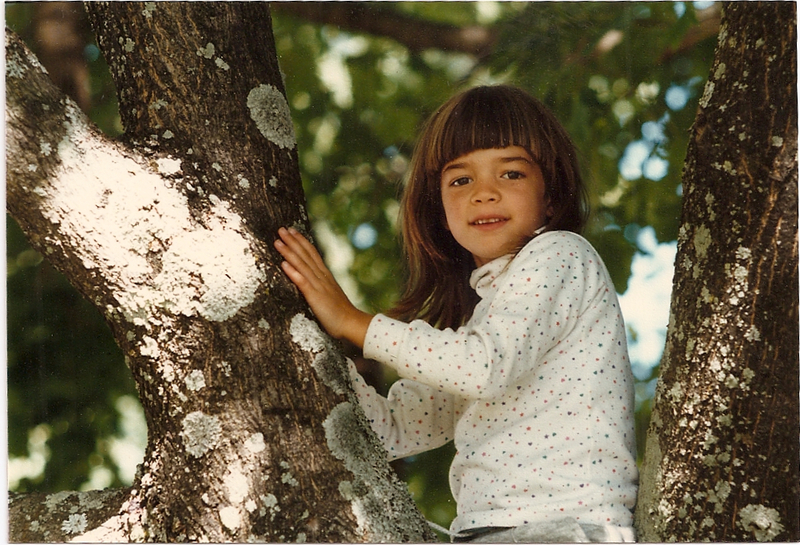 In the meantime, Robert and I will continue to grieve, to heal, to find beauty in small moments—and to hold a very special place in our hearts for Anabelle, whose budding branch on our family tree will never be forgotten. 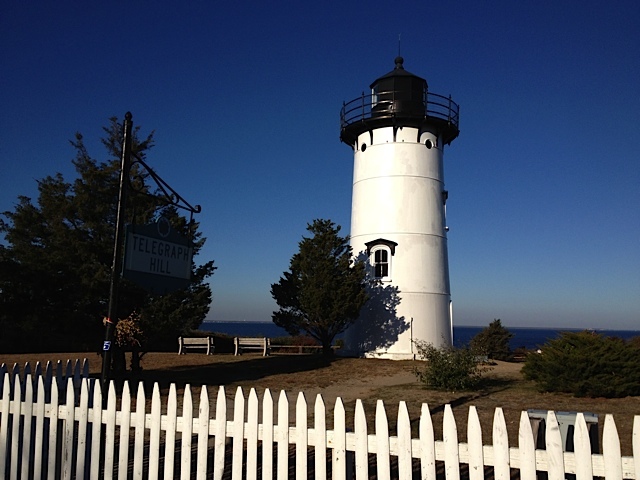 This spring, Robert and I will dedicate a bench in Anabelle’s honor beside one of our favorite lighthouses on Martha’s Vineyard; the inscription will read: Anabelle Edith Farinholt – May Your Spirit Forever Shine. 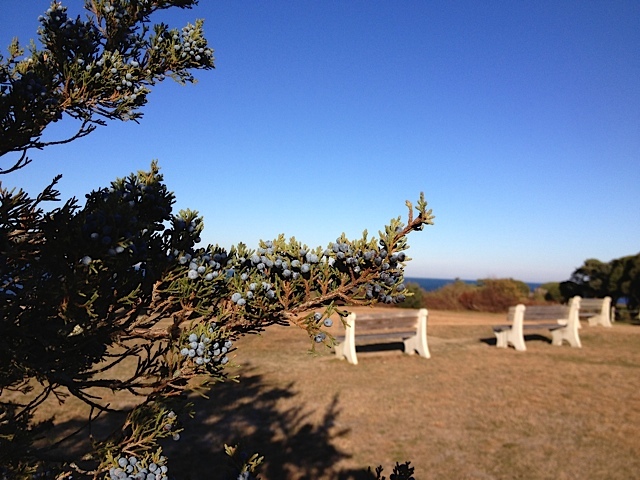 It feels good to know that we – and others – will always be able to enjoy the view and take in the surrounding serenity from Anabelle’s bench. 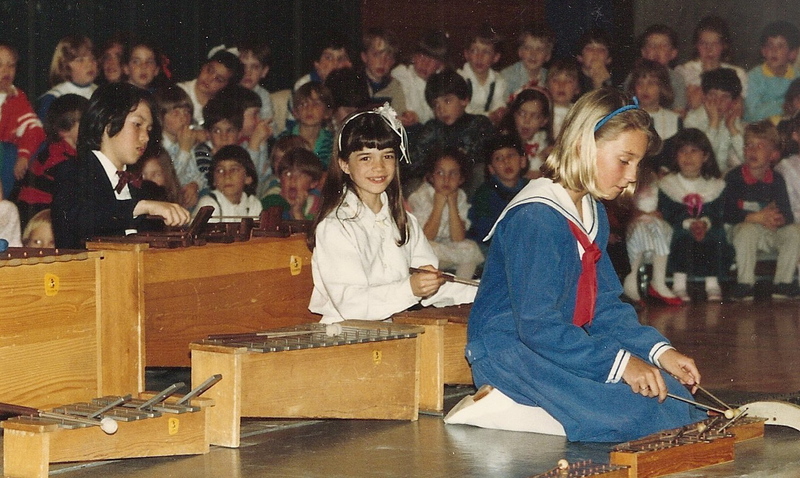 A couple of months ago, I received a request for alumni updates from Siobhan Welsh at the Gordon School in Rhode Island, where I attended 1st through 8th grade. 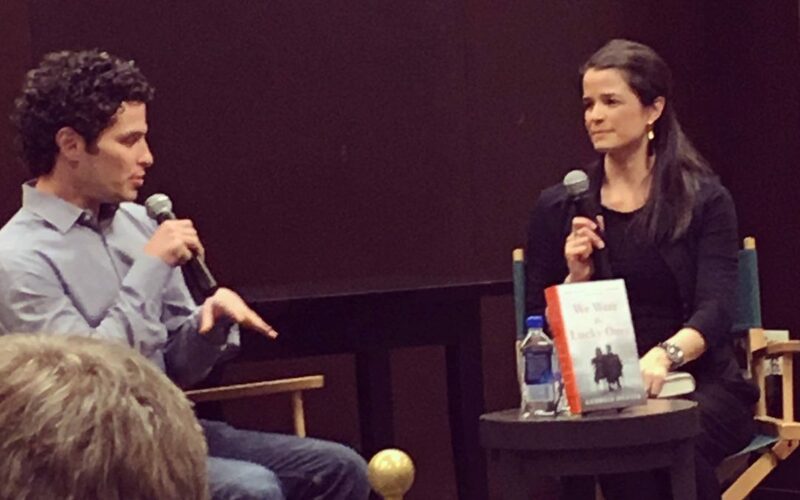 When Siobhan heard about my book project, she immediately asked if I would consider coming in to speak with Gordon’s 8th grade class about my family’s story. 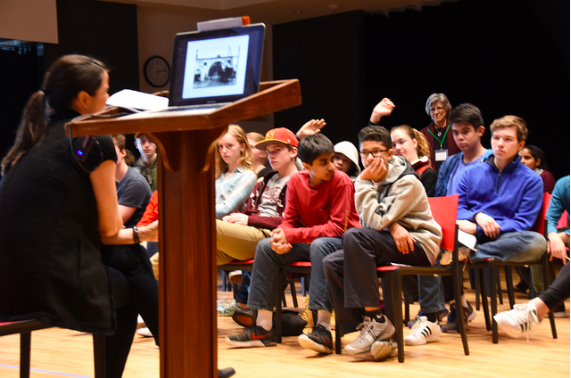 Every year, Siobhan said, the students read Elie Wiesel’s Night, meet with Holocaust survivors, and tie their learnings in with their unit on civil rights. I’d love to, I replied. Siobhan also asked if she could profile me in Gordon’s Spring alumni magazine. The more I delve into your story, she wrote, the more I feel it would be really powerful to share with our alumni community. My response of course, was absolutely. I’d be honored. I have many people to thank for shaping me early-on into the person I am today. 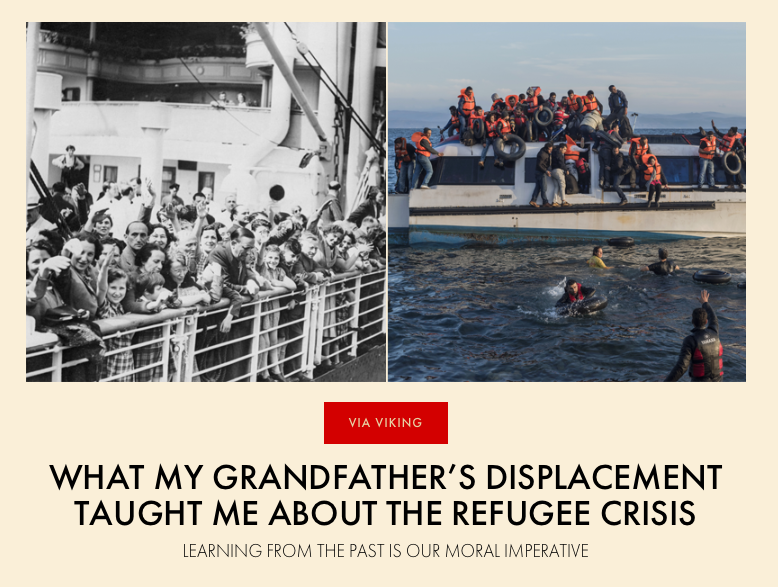 My parents, of course, as well as my ancestors—though admittedly, I didn’t realize just how much of an influence they had (and continue to have) on me until I dove into my research. I also owe gratitude to the Gordon School. So thanks, Gordon, for planting the writing seed in me, and years, later, for showcasing my story. 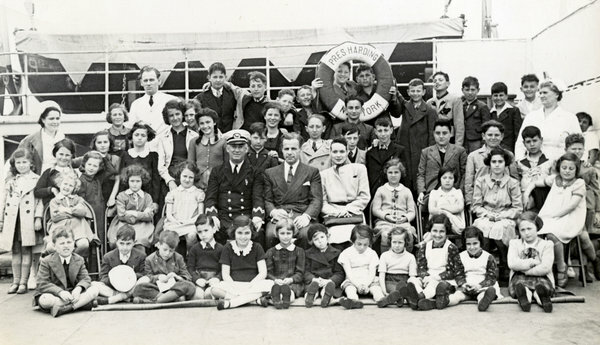 Last night I watched a documentary called 50 Children, the Rescue Mission of Mr. and Mrs. Kraus (available on HBO until 5/5), about a Philadelphia couple, Gilbert and Eleanor Kraus, who set off in 1939 on a mission to bring 50 Jewish children out of Nazi-occupied Austria. 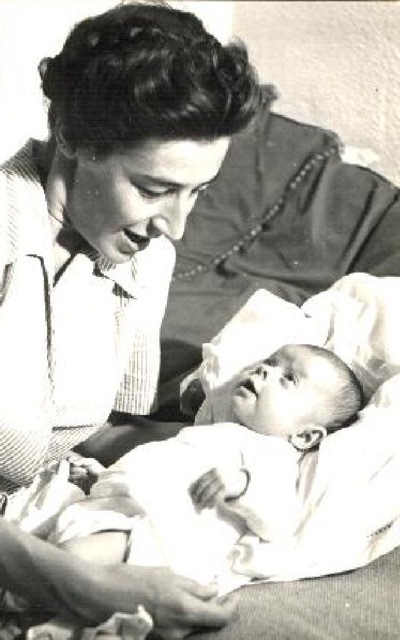 The Krauses faced several daunting obstacles along the way—they themselves were Jewish, to start, and the mission required traveling through Berlin and Vienna; they were also hampered by an American bureaucracy that was surprisingly apathetic in its humanitarian efforts. This sentiment reminds me of a story passed down to me by Felicia, my grandfather’s oldest niece. Felicia was born in 1938 and is the only living Kurc able to share her first-hand memories of the war. 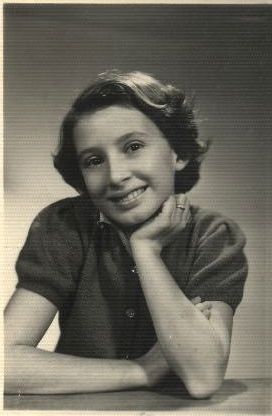 By the time she was five, Felicia had narrowly survived a mass shooting; she’d escaped the Radom ghetto (twice); and she’d witnessed, crouched beneath a kitchen table in an apartment in Warsaw, the brutal death of a fellow Jew discovered in hiding. Shortly after the Warsaw incident, Felicia’s mother Mila realized with despair that it was impossible for her to keep her daughter safe. So when she caught wind of a Catholic convent outside of the city accepting children, she went right away and begged the Mother Superior to take her daughter in. At the convent, Felicia’s hair was dyed blond. She learned to recite the Lord’s Prayer, Apostles’ Creed, and Hail Mary. And her name was no longer Felicia Kurc, it was Barbara Cedransk. As difficult as those visits must have been, it’s a blessing, I realize, that Mila was able to check in, to see with her own eyes that Felicia was alive and well. How must the families in Austria have felt, I wonder, sending their children with two strangers across the Atlantic to an unfamiliar land, not knowing when, or if they’d reunite? Eleanor Kraus wrote in her journal that she begged each of the parents not to wave goodbye from the tracks on the day the train carrying their kids pulled away from the station in Berlin. 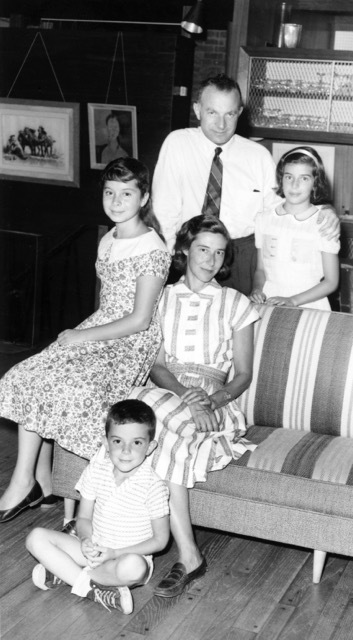 “To lift their hands,” Eleanor wrote, “would resemble a salute to Hitler—an illegal act for a Jew, punishable by death.” The image of those parents standing at the tracks, unable even to wave as their children, plucked fresh from their arms, disappeared before their eyes, will haunt me for years to come.